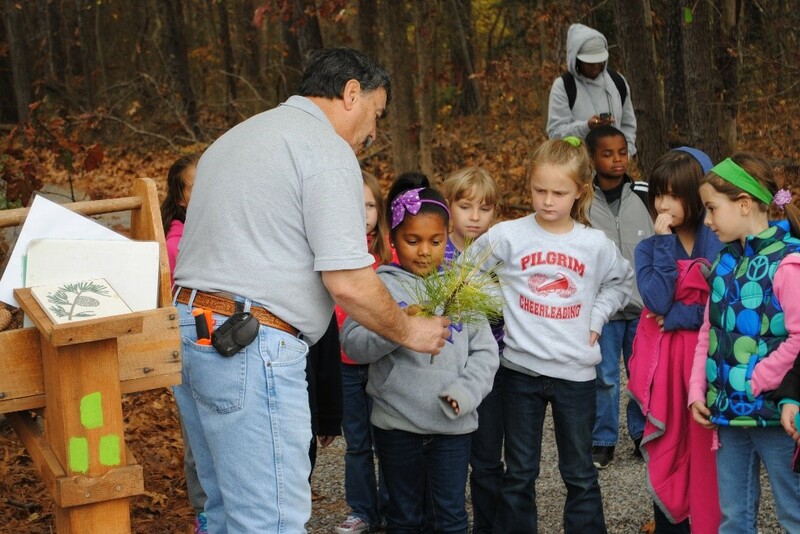 (18/P085) TRENTON – A celebration of forests, fall and the outdoors will highlight the 24th Annual Forestry Festival on Saturday, Oct. 6 at the New Jersey Department of Environmental Protection’s Forest Resource Education Center in Jackson Township, Ocean County. The festival runs from 10 a.m. to 3 p.m., rain or shine. Admission and parking are free. Parking is available for the festival at 370 E. Veterans Highway, Jackson. Food and beverages will be available for purchase. Visitors are encouraged to wear sturdy hiking shoes and insect repellant. The Forest Resource Education Center hosted the first Fall Forestry Festival in 1994 to bring attention to its work to educate the public about managing New Jersey's forest resources to maintain healthy trees and forests, clean air and water, and where to appreciate the outdoors. Festival visitors can meet outdoor mascots Smokey Bear and Woodsy Owl, take a hayride, join guided hikes scheduled throughout the day, or visit the New Jersey Forest Service Nursery and the Interpretive Center. Children and adults can plant acorns, build wooden crafts, cut tree-shaped cookies, play environment-focused games or watch a performance by the Greater Pinelands Dulcimer Society. Natural resource professionals will be available to discuss water and soil conservation, honeybees and other beneficial pollinators, invasive insects, tree diseases, composting, maple sugaring, backyard forest management and more. The New Jersey Big Tree Conservation Program, which highlights the largest trees of each species in the state, will measure a large oak tree on site. The center’s new sawmill also will be used to mill logs from trees damaged by storms or insects into useable lumber. New Jersey Forest Service foresters will demonstrate how drones are used in forest management, offer guided tours of new forest demonstration plots at the center and explain typical forest management techniques on state lands. Fire safety also is a festival focus. Fire wardens will showcase firefighting tools and equipment and demonstrate how homeowners in wooded areas and forests can make their properties safer. 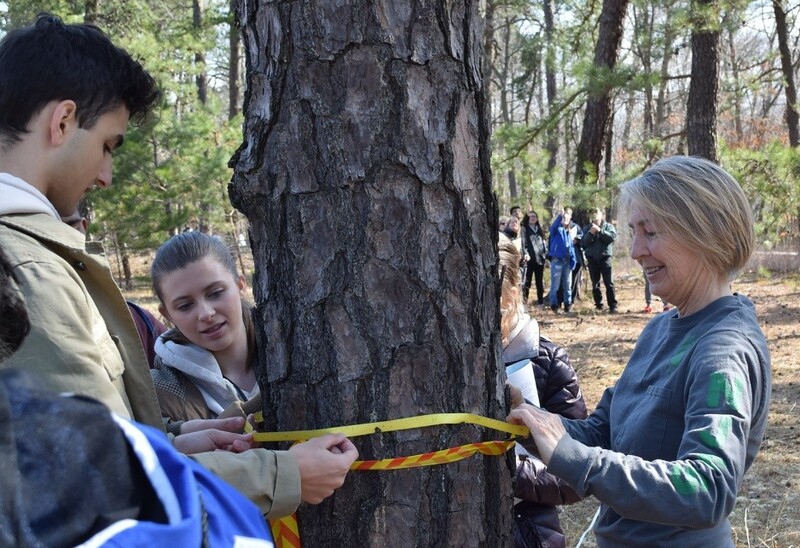 The Forest Resource Education Center, operated by the New Jersey Forest Service, is the only public facility in the state focused on forestry education. It provides free conservation education programs that promote the benefits of trees and forest stewardship to all age groups. The center also offers miles of trails for hiking, biking, and nature watching. Many of the center’s programs may fulfill requirements for scouting badges. To be added to the scout mailing list, email FREC@dep.nj.gov. The New Jersey Forest Tree Nursery, also on the same property, grows 300,000 seedlings yearly for reforestation efforts across the state. To learn more about the Nursery, visit www.nj.gov/dep/parksandforests/forest/nj_forest_nursery.htm.